Home Tips and Tricks How to Disable the Script Error Notifications in Dynamics CRM 2015 9 people are discussing this now. 9 people are discussing this now. Microsoft Dynamics CRM 2015 will alert you when there are script errors and prompt you to manually choose to send the error report. These error messages, although helpful for Microsoft, may not necessarily apply to your everyday user. As a system administrator you can update the error notification preferences for all users in the administration area of Dynamics CRM 2015. See how to disable the script error below! 6. Then click on “Automatically send an error report to Microsoft without asking the user for permission”. 7. Click OK. The error notifications will now be automatically be sent to Microsoft and the script error pop-up will no longer appear. And there you have it! Simple as that. But why stop there? 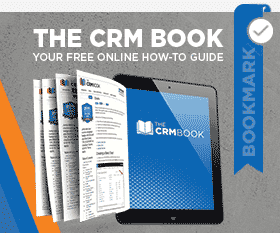 Head on over to our main blog page or sign up via our CRM University for even more Dynamics CRM fun! by Joe D365	February 24, 2015 9 people are discussing this now.